Why did we design Hurricane XS? Intense bouts of exercise like rugby, combat sports, football, ice-hockey and many more places a huge amount of stress on your body. As a result of the constant impact, sprints, jumps, rapidly changing direction and so on your body requires an instant batch of nutrients tailored to recovery. 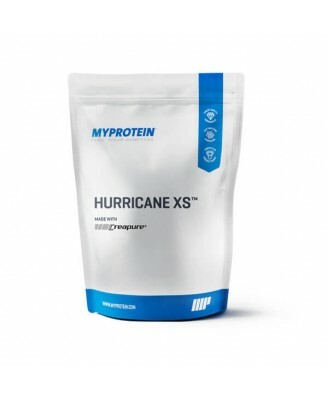 Myprotein's Hurricane XS is the perfect all-in-one formula to kick-start your recovery process. How did we design Hurricane XS? This unique recovery formula contains carbohydrates (as Dextrose & Instant Oats), a combination of Whey protein Concentrate & Isolate, Creatine Monohydrate (Creapure) and lastly HMB (Beta-hydroxy beta-methylbutyrate). Now available in 10 enticing flavours! Protein after intense exercise, Whey protein will provide a rapid delivery of amino acids to your muscles. Carbohydrates your body needs to replenish its glycogen stores immediately after exercise, so 22g per serving will help support replenishment. Consuming carbohydrates with protein also supports absorption and uptake. Creatine 5g of Creatine Monohydrate (Creapure) in each serving. 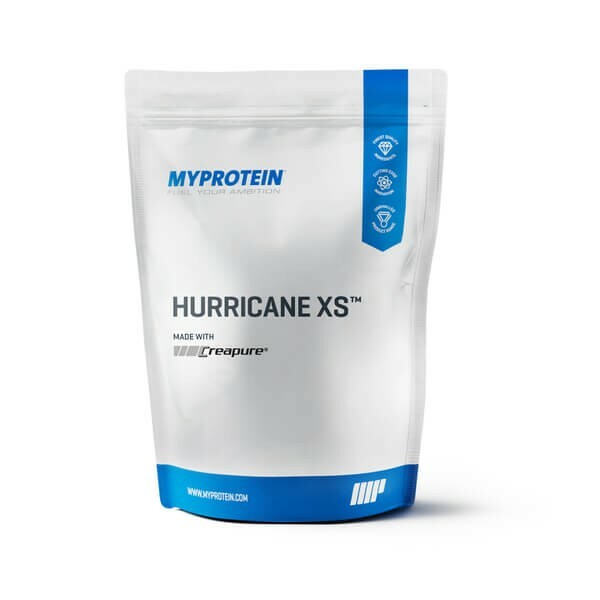 If you participate in intense exercise and are looking for an all-in-one recovery product, Hurricane XS is the textbook choice. This product is also perfectly tailored to help you meet your individual daily protein and carbohydrate requirements. When should I consume Hurricane XS? To reap the benefits of this product, our expert team of nutritionists recommend consuming this product immediately post-exercise with water or milk. This can be easily consumed whilst your manager is doing their post-match team talk or as you're leaving the gym changing rooms for instance. Add 2 large scoops (70g) to 500ml of water or milk in a Myprotein shaker and consume within 30 minutes post-workout. Alternatively, consume in the mornings with smoothies, porridges, Greek yoghurts, pancakes or on its own.